In a new study a team of American astronomers found a striking correlation between the baryronic, visible matter (stars, planets, galaxies) and its rotation speed, which means they can predict the rotation of galaxies – without invoking the existence of dark. According to the standard model of cosmology, the immense gravity of dark matter is crucial for explaining why galaxies can spin so fast without tearing themselves apart. 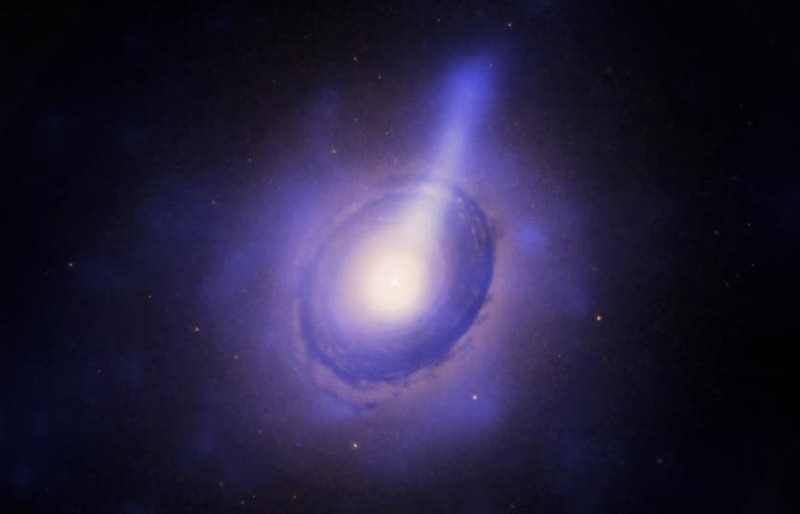 The discovery may alter the understanding of dark matter and the internal dynamics of galaxies. In the late 1970s, astronomers Vera Rubin and Albert Bosma independently found that spiral galaxies rotate at a nearly constant speed: the velocity of stars and gas inside a galaxy does not decrease with radius, as one would expect from Newton’s laws and the distribution of visible matter, but remains approximately constant. Such ‘flat rotation curves’ are generally attributed to invisible, dark matter surrounding galaxies and providing additional gravitational attraction. “If you measure the distribution of star light, you know the rotation curve, and vice versa,” said Stacy McGaugh, chair of the Department of Astronomy at Case Western Reserve and lead author of the research. The finding is consistent among 153 spiral and irregular galaxies, ranging from giant to dwarf, those with massive central bulges or none at all. It is also consistent among those galaxies composed of mostly stars or mostly gas. In a paper accepted for publication by the journal Physical Review Letters and posted on the preprint website arXiv, McGaugh and co-authors Federico Lelli, an astronomy postdoctoral scholar at Case Western Reserve, and James M. Schombert, astronomy professor at the University of Oregon, argue that the relation they’ve found is tantamount to a new natural law. McGaugh and Schombert have been working on this research for a decade and with Lelli the last three years. Near-infrared images collected by NASA’s Spitzer Space Telescope during the last five years allowed them to establish the relation and that it persists for all 153 galaxies. The researchers plotted the radial acceleration observed in rotation curves published by a host of astronomers over the last 30 years against the acceleration predicted from the observed distribution of ordinary matter now in the Spitzer Photometry & Accurate Rotation Curves database McGaugh’s team created. The two measurements showed a single, extremely tight correlation, even when dark matter is supposed to dominate the gravity. Kosowsky said McGaugh and collaborators have steadily refined the spiral galaxy scaling relation for years and called this latest work a significant advance, reducing uncertainty in the mass in normal matter by exploiting infrared observations.